These command line tools that are very useful for troubleshooting Windows PCs.–PC Pitstop. Thr Windows command line may not be the best choice to work with due to its unpleasant user interface, but there are certain useful features that don’t come with a user interface and can only be accessed via the command line. In this article, let us share with you a couple of command line tools that you can use to troubleshoot your Windows PC. The Windows System File Checker feature in Windows is used to check the integrity of the system files and registry. When you have a corrupted system or registry, you can make use of the System File Checker feature to scan and restore system files (or registry keys) from a cached version of original Windows files. 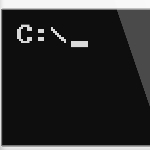 To run this tool, open up the Windows command prompt as an administrator and execute the command below.